Best Pricing Ever on Every Body Site! Welcome to Riva Dermatology - 704-896-8837. ​Our board-certified skin care experts have more than 25 years experience and are dedicated to your comfort and health. With state-of-the-art equipment and cutting-edge techniques, we can assist you with all of your general and cosmetic dermatology needs. We are proud to serve Huntersville, Cornelius, Davidson, Mooresville, Denver and the Lake Norman Area! Mari is a licensed medical aesthetician and certified medical assistant with over a decade of experience working in a medical practice and providing numerous cosmetic and general dermatology services to the Charlotte and Lake Norman areas. These include patient consultations for physician provided services such as use of neurotoxins, all dermal fillers, Kybella, sclerotherapy, and cosmetic excision and radiotherapy treatments. Also certified by the CoolSculpting University for CoolSculpting consultations and treatments. We take a sincere interest in your well-being and emphasize the need for good habits and a proper daily regimen of skin care. 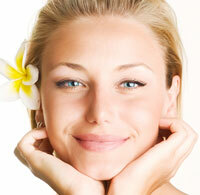 Schedule a consultation with one of our experienced dermatologists today and keep your skin beautiful and healthy. The RIVA Skin Store is Open! Complete line of products to protect and keep your skin looking great. Order products while you are visiting our office! Great experience with Dr. Shafran and his entire staff. The office is amazing and I recommend Riva to all of my friends.